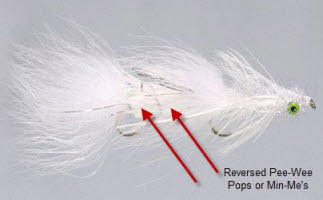 Perfect popper for all panfish species like sunfish, crappies, perch and others. Get your flies tied super fast using this light foam material that will never waterlog and sink! The stantard quantity if six/pack. These are great for tying up Galloup's Bottom-Up Articulated patterns too! I am waiting to use these to tie Kelly Galloup's bottom up fly. These are hard to find so thank you for supplying them. The size is perfect and so is the texture. I just wish I could buy them locally.